Ghosn is being held in Tokyo's detention center. TOKYO -- Carlos Ghosn lost an appeal against his ongoing detention, diminishing prospects of an early release on bail for the auto industry icon fighting charges of financial misconduct while he was heading Nissan. 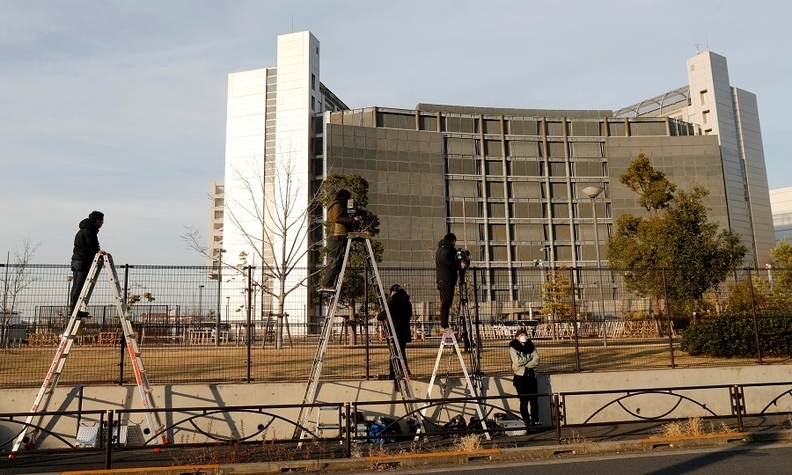 The Tokyo District Court rejected the petition filed by Ghosn’s defense team, according to a statement from the court shared with the media by the Foreign Press in Japan Wednesday. Ghosn’s lawyers will appeal the decision in a higher court, NHK reported. Wednesday’s decision by the judge means Ghosn could spend his time locked away in jail until an actual trial, which his main lawyer Motonari Otsuru has said may be as long as six months away. Ghosn’s current custody ends Jan. 11, and prosecutors are likely to slap new charges or request another extension as they build a case against him. In his first public appearance Tuesday since his Nov. 19 arrest, Ghosn denied the wrongdoings in prepared remarks addressed to the court.